Live video streaming used to be relegated to the territory of media professionals or closet geeks. But not anymore. With the release of accessible, easy-to-use platforms like Facebook Live, everyone can stream live videos to their social media followers. But is live video marketing for doctors really beneficial? Yes, it is. Live video encourages engagement and interaction from your followers. How? By creating the urgency of an event. When you post a standard video on your feed, people can watch it whenever they want to. But when you schedule a live video, they get the added benefits of moment-by-moment interaction with other viewers and with you as the host. They can ask questions, offer feedback or influence the direction of the discussion. 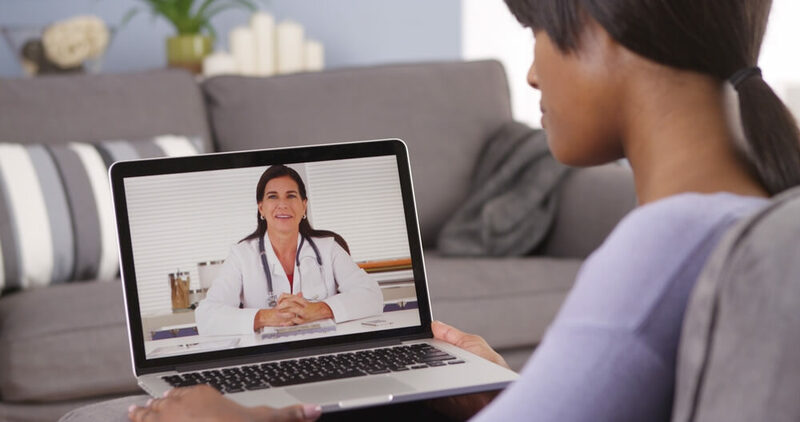 In the medical field, live video is a great way to personalize your social media strategy and your practice, letting your patients see and interact with you in a low-pressure environment. So which platforms are best for accomplishing those goals? Facebook Live is the go-to live video platform for many businesses. You can reach a broad range of followers with it, and you can also stream it in Facebook groups or events. You’ll be able to track viewer reactions to the video as well as monitor metrics like number of live viewers, total number of people reached, comments and shares. Use Facebook Live when you want to deliver a scripted broadcast, experiment with content and track results. It’s also perfect for reaching different patient personas since you can segment your audience with follower lists. Instagram recently added live video streaming as part of its Instagram Stories feature. The key to remember with these videos is that they disappear after viewing (like Snapchat pics). That means you’ll reach fewer patients (since the video can only be viewed live), but there’s an increased sense of urgency for people to join you for the live streaming. Use Instagram Live for informal chats with your loyal followers. Make videos colorful and exciting to stand out in the photo-saturated Instagram feed. Twitter’s foray into live video launched in 2016, when they merged the Twitter app with streaming service Periscope. Twitter differs from Facebook based on the relative urgency of posting and interaction. It’s more of a news delivery service than a pre-scripted campaign. While watching, patients can leave hearts and comments which you can track. When complete, your video will remain in your feed and can be shared or viewed at a later time. Use Twitter Live to broadcast newsworthy videos such as conferences, events or a tour of your new practice location. You can also use it for short, spontaneous content. Doctor Q&As. Host a question and answer session with a doctor based on a monthly topic or theme. For example, you could discuss back-to-school nutrition in August or ways to prevent colds and flu during February. Procedure Demonstrations. Showcase common procedures you perform at your practice and let patients know what they should expect before, during and after their visit. Location Tours. Give a tour of your practice and introduce viewers to different staff members. Showcase unique features such as your child-friendly waiting room, new technology or patient facilities. Staff Spotlights. Interview members of your staff who aren’t doctors. Introduce viewers to a nurse, technician, or patient care specialist. Special Events. If you’re hosting a blood drive, attending a conference out of town or volunteering at a community event, showcase it live! Don’t miss opportunities to let patients see the personality of your doctors and staff members. If you need help with content ideas, take some time to explore live videos from other practices or businesses in your area. It’s a great way to determine what you like and don’t like in terms of content and presentation. And if you need help creating a targeted marketing strategy or website, let us know! Talk to one of our healthcare marketing experts for the inside scoop on inbound marketing for the medical profession.